I don't know about you but I have so much organizing that I still have yet to do around my tiny apartment. Who knew one could collect so many things! 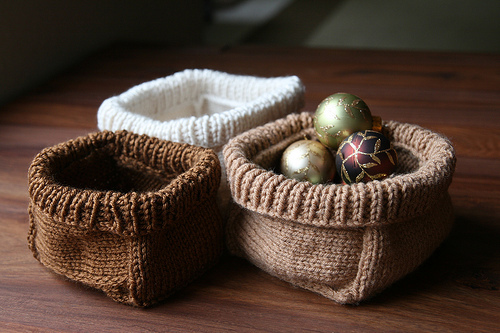 Just look at these wonderful creations I found for the organizer/knitter in everyone! 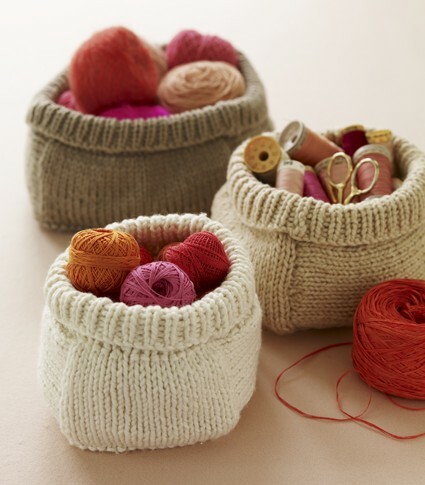 Even if you don't knit how fabulous are these containers! Stitch Rabbit has an amazing pattern for a beautiful basket worthy of anything needing a little organizational help! In fact when I looked around there were tons of ways to add a splash of color and organization to any area in need! Perhaps a soft bucket for babies toys? Joelle Hoversonâ€™s with STC Crafts created these amazing baskets! Way better than anything you could find in a plastic bin! This has me thinking wouldn't these be so cute for holding Christmas goodies to send to those near and dear? 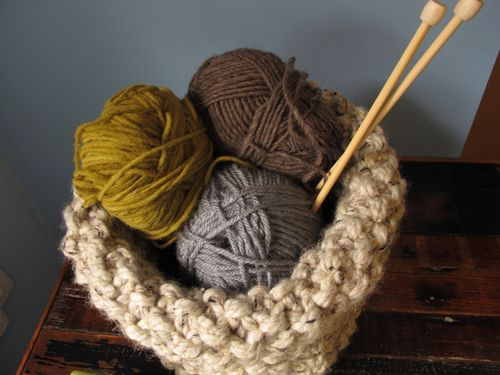 I've gotta get started, I have a lot of baskets to knit! A few more for your knitting pleasure! How cute! I love the cozy wintery touch they add! Hi Laura, thanks for visiting! 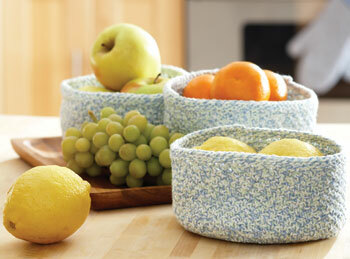 I'm so glad you love the baskets! I thought they were so snuggly looking!